- editor of the "THE LEE STRASBERG NOTES"
“Method acting is what all actors have always done whenever they acted well” is Lee Strasbergs definition of the method. The method trains actors to use their imagination, senses and emotions to conceive of characters with unique and original behavior, creating performances grounded in the human truth of the moment. It is also possible to apply as an observer. 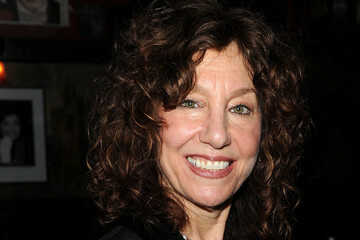 Lola Cohen is a teacher and the artistic leader of the Lee Strasberg Theatre and Film Institute. She has also edited the book “The Lee Strasberg Notes”. www.methodactingstrasberg.com, and each participant and observer will receive an autographed copy of the book. A Continuing Education Master Class Certificate will be issued upon successful completion. Lola Cohen trained with Lee Strasberg during the last five years of his life and has taught acting for twenty-six years at the Lee Strasberg Theatre and Film Institute in NY and LA and in private classes. After Lee’s death, Lola continued her training with Method actress/teacher Kim Stanley and the acclaimed director Jose Quintero. She has trained and directed hundreds of actors in scenes and plays during her career in the theater. As a member of Bob Dylan’s Rolling Thunder Review, Lola made her film debut in Renaldo and Clara in 1975 and in 2009 played Judge Kaplan in Rik Cordero’s Inside a Change which won best film at HBO’s Latino International Film Festival in 2010. Lola’s directorial credits include A Midsummer Night’s Dream for the Woodstock Youth Theater; Jean Genet’s The Maids at the Strasberg Institute and Lewis John Carlino’s Snowangel while 2009 Artist-in-Residence at SUNY-Ulster. Lola is also an adjunct associate professor of law at Brooklyn Law School where for the last eleven years she has taught her class “Relaxation, Concentration and Communication Skills for Attorneys”. 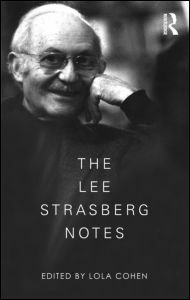 Lola’s book, The Lee Strasberg Notes, done in close cooperation with the Institute and the Strasberg family, was published by Routledge in 2010 and is currently in its second printing. Lola has lectured at Pratt Institute and also teaches a master class at The American University in Washington, D.C. from where she has graduated with a Bachelor of Arts degree in education. Lola teaches Method Acting at LSTFI.